This week, my Ocado delivery arrived....... along with someone else's bag of shopping. I rang Ocado who said I could keep it - it felt like Christmas! - although a slightly twisted gift as the bulk of it was wheat based - including digestive biscuits - one of the things I miss most about being GF - so that was just mean! 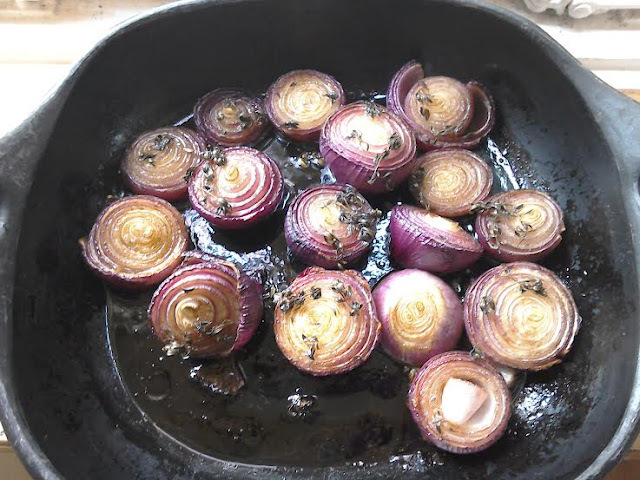 After I'd given the gluten stuff to friends & neighbours, I was left with 1 litre olive oil, a huge bag of red onions, some lemon thyme, a bottle of red wine & some balsamic vinegar. So this recipe kind of created itself! 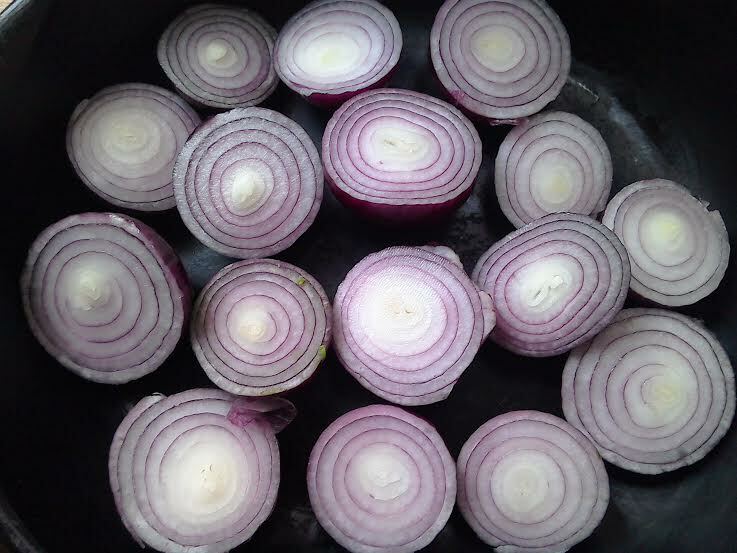 I rarely cook with onions as I cry like crazy when I chop them up & always figure it isn't worth it. This was so yummy, i think it probably was worth it! 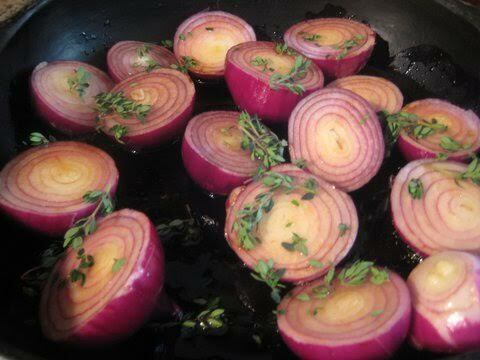 - it couldn't be easier either.........once you've got past the peeling & slicing of the onions! 1 Peel the onions & slice them in half. 2 arrange on a baking dish. 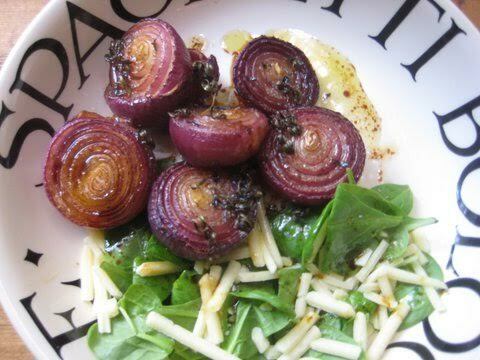 3 mix the olive oil, balsamic vinegar & red wine together and pour over the onions. 6 place in oven for 75 mins. the onions should be soft & caramelised & the whole house should smell of roasting onions - but you won't mind cos they're that delicious. 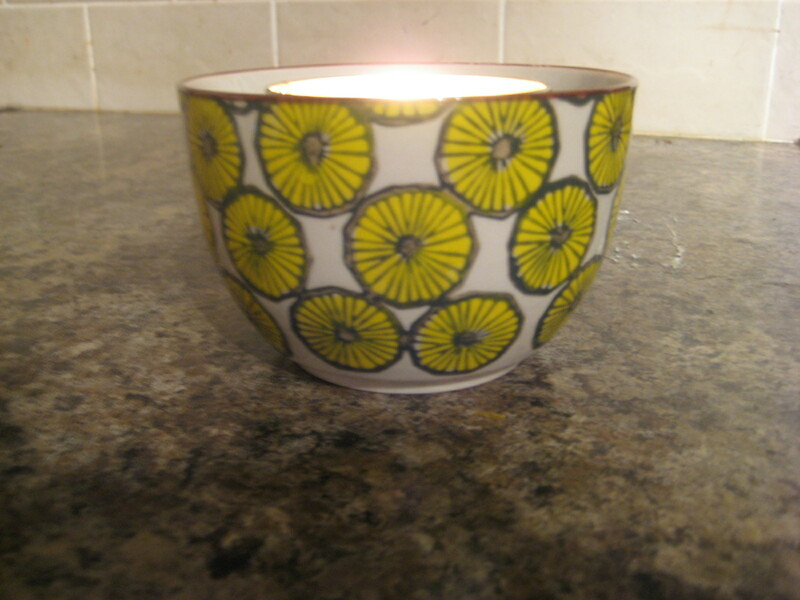 To get rid of the onion smell, I've been burning my new paddywax candle (from, er, Ocado). DIVINE. This post was not sponsored by Ocado, and I honestly have no connection with the company apart from being mildly obsessed! !